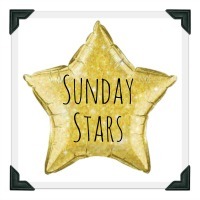 Yes, it’s that time again to welcome you all back to our fabulous Sunday Stars linky, where as always, it’s the perfect place for you to share your favourite posts each week with the rest of the world!! Again it’s been a while since I hosted one of these alongside the lovely Lucy, but as always I’m really looking forward to sitting down with a good cuppa and reading all your fab posts!! So, why don’t you grab a cuppa too and join me for a bit of R&R – Reading & Relaxation obviously!! Have a super lovely Sunday everyone! This week Katie chose A Letter To My Teenage Daughter by The Free Range Family as her favourite post of the week. It’s a beautiful and heartfelt post – definitely check it out if you haven’t done so already. Myself and a group of lovely bloggers decided to start this linky together as we wanted to create a place where all our favourite posts from the week could be easily shared. Then when we realised just how fab it was, we thought why not let everyone else join in too! Our linky is designed to give everyone a place to show off their favourite posts and make sure they don’t go unread. Each week there will be two co-hosts, but you don’t have to run round trying to find out where to link up. Just follow our twitter account @SundaysStars and we’ll send you in the right direction. Tweet your posts to either myself at @midlife_mummy, or Lucy at @mrshsfavthings and remember you can also tweet the @SundaysStars account using the hashtag #sundaystars and we will RT them. – You can link 1 old or new post, anything that you are really proud of! – Please remember to our badge at the bottom of your post. – To make sure everyone gets a little love please comment on the post linked before yours as well as at least one other.